The Black Diamond Pickup by SpringCreek Electronics is easy to mount a full size violin. 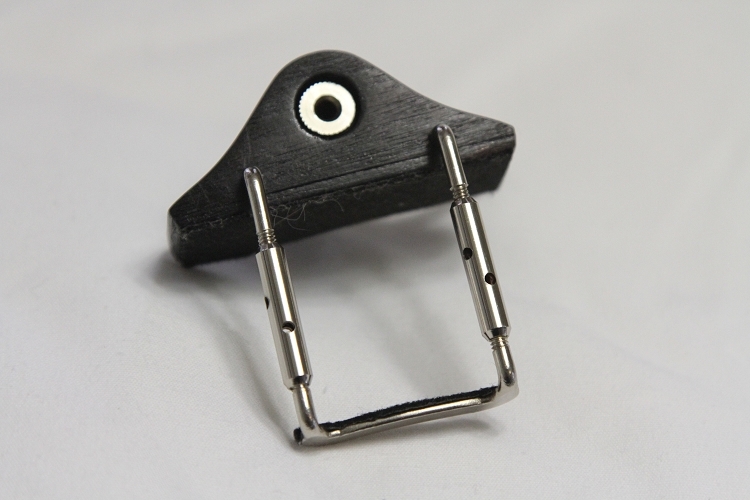 It simply attaches to the body of your 4/4 violin just left of your chin rest and even with your violin bridge. See pictures. A provided tool is used to tighten down the 2 brackets to the body of your violin. After mounting the pickup, just plug in the provided 1/8" to 1/4" adapter from the pickup to the front jack of your amplifier. To adjust the pickup loudness and get the best quality tone, lower the volume of your amplifier then turn it on and gently hit the violin strings until you hear the mellow violin sounds amplified. Turn the amplifier volume up slowly and adjust the volume and tone knobs to your desired tone and volume. The Black Diamond Pickup is a one piece, self contained amplifying pickup that produces super professional results. The Black Diamond pickup is designed to be installed on any full size violin .this will amplify your violin in seconds .You'll experience a full quality sound after setting the tone on your amplifier. For more tone enhancement purchase the Spring Creek Electronic Pro Violin Preamp. 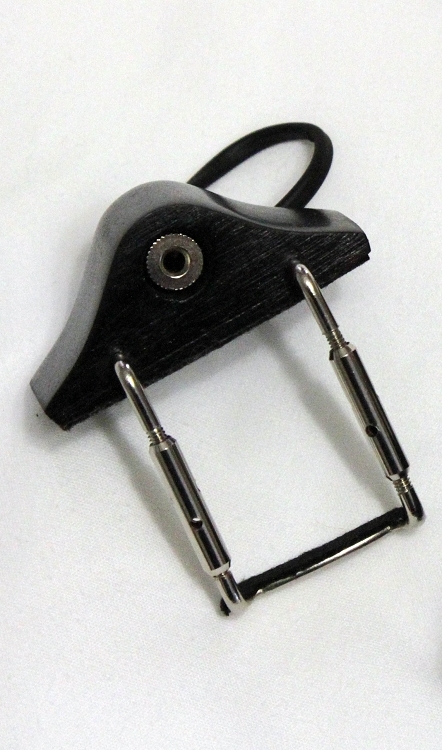 Instructions: 1 – clip the Black Diamond pickup to the top edge Of your violin between the chin rest and the "F" hole. 2– plug in the provided 1/8" adaptor to the Black Diamond Pickup. 3- From the 1/8" provided adaptor plug in your 1/4" instrument cord to the input of your amplifier. 4- turn on your amplifier and slowly raise the gain to your desired volume.